Debut memoirist O’Neill went off to sea, did not look back and has a footlocker full of tales to tell. O’Neill signed on as a cabin boy on a general purpose fishing boat in 1950 at the age of 13. For well over a half century as a merchant mariner, he worked on more than 80 different ships, from fishing boats to huge oil tankers, sailing the world and rising through the ranks. “Hither and yon” hardly covers it, as he would be ordered from a North Sea port to the Arabian Gulf, to India, to Taiwan and then to Brazil, New Orleans, Hong Kong and elsewhere, a shuttling described with a casual aplomb that may leave landlubbers agape. And the itinerary could always change since ships chase cargo. He was forever changing jobs, signing on with this or that company to keep out of a rut and learn new skills. Some of the companies were good, others shady corner-cutters. Sometimes, he found himself stranded in some god-awful corner of the world when the company went under. He describes: the technique used to break a few whisky bottles as they are being loaded and let the contents leak into one’s billycan; what it was like to have jellyfish parts rain down on you, an experience much worse than poison ivy; delivering jet fuel to Saigon in a jumbo tanker during the Vietnam War, “accompanied by warships and fast armed launches while helicopters kept watch overhead”; and a disastrous attempt, in his own sailboat, to navigate the Grand Canal from Dublin to the River Shannon. His next jaunt, he surmises, will be “a comparatively quieter trip, to the upper reaches of the Amazon.” O’Neill is a competent writer, though no stylist. Almost every chapter begins “Then I signed on with...” and all but drowns us in detail—the ship’s registry, tonnage, engines and so forth. At times, he seems to see his audience as other merchant mariners, so a glossary of unfamiliar terms (“ro-ro,” “coamings,” “fidley”) would be welcome. 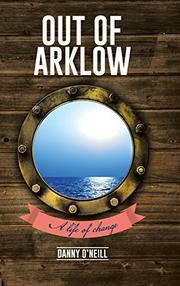 An engrossing, detailed read about a working life at sea.